Fair warning: This is a long and dense article, but if you hang in till the end, you will gain some cool insights into the mindsets of elite athletes and how we all make use of knowledge for various reasons. One of my favorite parts of writing this blog is that people send me interesting articles and ideas all the time. A couple of weeks ago, Steve Crane, a friend and accomplished ultra-distance runner who supplements his training by doing CrossFit at our gyms, sent me a link to the article below. The article is long and rich with information–fascinating for those of us interested in the role our brains play in regulating how hard our bodies can push. It’s all about one man’s theory of the psychological and mental aspects of physical exertion. If you’re interested in the topic, grab a comfy spot, click the link, and off you’ll go. In my back-and-forth with Steve about this and other articles, I got to thinking about the role of theory and the use of thinking for the elite athlete. My doctoral dissertation, written back in 2002, explored the use of psychoanalytic theory by the students who are in the process of becoming psychotherapists. The work of a clinical trainee is rich and daunting, involving the use of oneself as tool and bringing up uncomfortable and confusing emotions, especially in the presence of patients who are seriously ill and in need of help. Novice therapists rely on many strategies to help them navigate the rocky road of sitting with people and hearing their stories, and one of these tools is theory. The gist of my work was this: people engaged in a challenging venture such as becoming a therapist can, and often do, rely on theory as a way of managing the anxiety inherent in their work. While also being a legitimate source of information and knowledge necessary for doing good work, theory can be used as a type of security/transitional object of comfort that is always in one’s mind when times get tough. 1. To manage their anxiety around the physical aspects of what they do and what will be required of them in competition or on race day. 2. To fill in the relative void during taper times close to competitions or race days, brought on by fewer hours on the trail or in the gym or whatever (i.e. finding an outlet for the obsessive athlete mind while the training demands are lower). 3. To learn and understanding more about the importance of the mental game. Theory and information are not just fillers–The CONTENT of the material is also critical. I asked each athlete to comment on the above model and to share with me (and my readers) their thoughts on their own use of theory and content for the mental side of training and competition. They ended up writing about what works best for them with great insight and depth. Given their rich and meaningful responses, I think this struck a cord. For the most part, I’ve left their thoughts unedited, as there is much to be learned from their remarks; the content is intriguing, so enjoy! Steve is a 45-year-old, father of two who played collegiate golf at the University of Iowa and later became a golf professional. In his early twenties, he earned a spot in a large Ben Hogan Tour event in his first effort. According to Steve, he “threw in the towel far too early and focused instead on teaching and the business side of the golf profession.” Years later, in 2008, Steve picked up long-distance running by chance. He was intrigued by how it was that he seemed to get stronger towards the end of his first marathon. 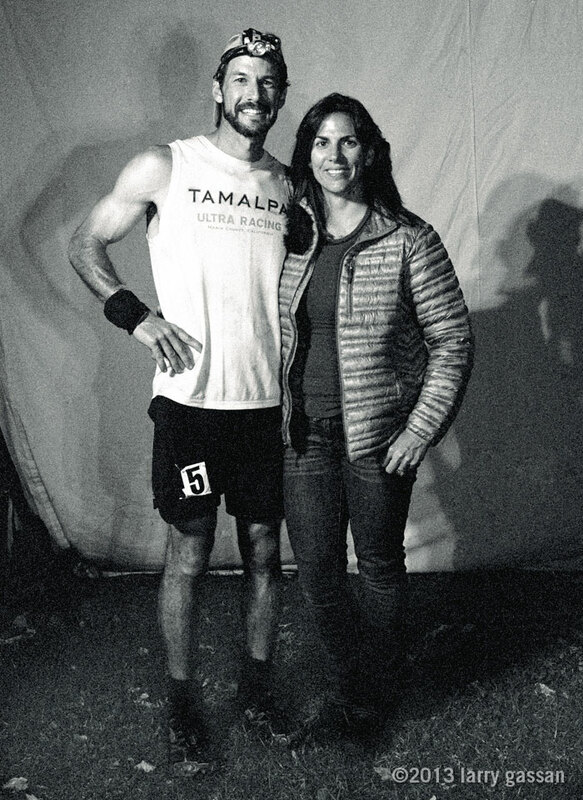 Two months later, he ran his first Ultra race, a 50k, and later ran another marathon. It turns out that Steve’s little adventure into ultra running may have been a destiny of sorts; the guy is good. In a 72-mile race around Lake Tahoe, he has finished in second-place two of the three times he has participated. He has run five 100-mile races and has finished in the top ten in all but one, during which he and a friend had agreed prior to the race to run it only as an adventure, not worrying about their performance. At some point driven athletes like Steve tend to find the “ultimate” goal for which to train. For Steve, that is the Ultra-Trail du Mont-Blanc, rapidly approaching in August, 2013. The North Face UTMB is a 102-mile race through the French, Swiss, and Italian Alps with over 32,000 feet of total elevation gain and the same amount of elevation loss. Everest is 29,000 feet, but Steve jokes that he tries not to think of that comparison, and for good reason! So on point #1 – I definitely agree that research and theory is essential to creating and maintaining confidence. The most important step is to create training and race plans that we feel will help us achieve our goals. Of course selecting these plans is largely based on us listening to people and sources we trust. During the process I think many of us constantly seek validation that we are doing the right things – all the way up to race day. I remember talking to my coach [happens to be Marcus Filly—athlete #2 below] after a race that produced a lackluster result, and told him I still felt great about it. He asked me how I could maintain my confidence after something that could be seen as disappointing (my interpretation). I told him that it was because I trusted my plan. I’ve done the work and I’ve been executing the plan. I “know” I’m on the right path, I just haven’t reached my destination yet. To me the process is simple – build the best plan and execute. This is my biggest mental crutch and what I have always used to quiet the voices in my head when doubt begins to creep in. I remind myself that because the plan is proven -and because I’ve executed – success is all about me producing the effort on race day and that is what I personally can control. Since I’ve always “wanted it,” race day motivation has never been an issue. I am pretty compulsive, however, about not skipping workouts. I may modify if I’m sick – but I won’t skip. This serves a huge purpose in maintaining my confidence that I’ve done the work. It’s objective vs. subjective so it can’t be wrong. Researching and learning helps satisfy me that I have all the available information to help me maximize my experience and my performance. On point 2 – I can see this working for others, but I can’t say it is a fit for me. As I approach a major effort where tapering generates extra free time, I usually focus on everything other than ultra running. I enjoy spending more time with friends and family, sleeping, eating, working. I will typically read more in this window, but usually entertain myself with subjects completely unrelated. I will say, however, that what allows me to divorce my mind from seeking out new info is that I will spend a little time each day focusing on my race day plan / gear list / shopping for supplies / logistics. This takes a lot of energy. Confidence issues during this phase can happen pretty often but are resolved quickly with the help of point #1. Marcus, age 28, is a former soccer goalie who played for UC Berkeley and was a standout golfer in high-school. He is currently a CrossFit competitor, having qualified for a coveted CrossFit Games spot out of the highly competitive NorCal Region. 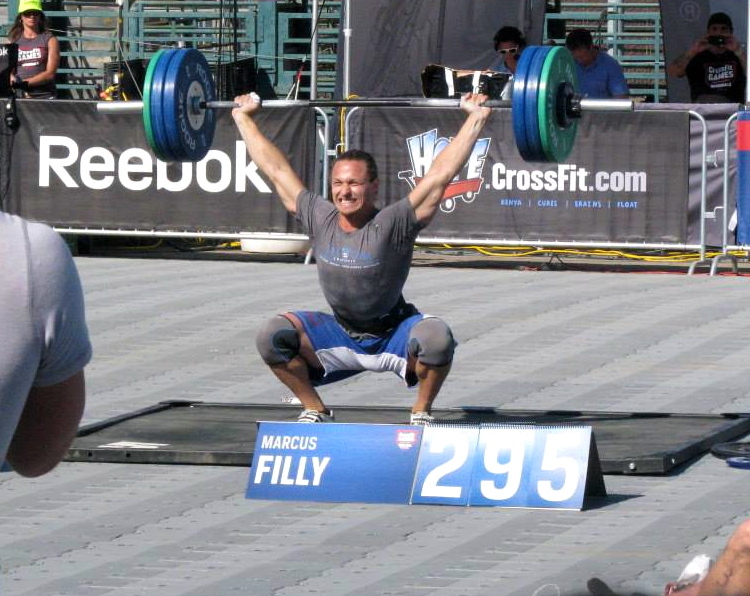 Marcus is also a CrossFit gym owner (TJ’s Gym Mill Valley) who programs for, and coaches, many athletes, in addition to immersing himself into his own training. I think more important than the act of cleaning is just finding something that doesn’t require much thought. I don’t want to expend mental energy. That is the point of managing the anxiety. Anxiety, particularly when there are high levels of it, is draining mental gymnastics. I want to find something that occupies my time, allows my body to move and keeps me focused, but doesn’t require extra thought. Cleaning seems to do the trick and was a fall back the week before Regionals. The gym and my house were looking GOOD! – Acceptance of the anxiety was a huge learning step for me this year. Trying to escape the feelings doesn’t often work. Rather than try to think about other things…I try to connect with that anxiety. I try to appreciate that in this moment the anxiety is a protective response. It is alerting my body and mind to the tasks ahead. It is prepping me from the inside to handle the outside world that is coming my way. It can be the time when I feel the most connected to the experience. As an athlete I know that often the events, themselves, are the out-of-body experiences and you can’t quite remember what happened. The build up and the anxious feelings are so real and so easy to connect with. It is a special time. – Breathing – I know this one is commonly talked about but the breath really does help to ground me and get my thoughts to stop running in circles. My thoughts really start to speed up the rest of my body. Heart, hormones, etc… But the breathing can slow down in an instant and the rest of the body can follow. 2. Tapering used to be scary. This means you are done preparing. You have to accept that the training is done, and now the performance is all that is left. It brings up doubts that you must face. It is a good time to check in with myself about my preparation and be honest. Am I ready? I also try to fill myself with a feeling of growing stronger with the taper. A properly timed and nourished taper can really leave me feeling bulletproof. It is like a superhero that has lost his powers and with rest and time those powers return. Kind of cheesy when I put it like that, but I do think of a healing and strengthening inside my body. This allows me to avoid those feelings of “I need to be doing something.” What I end up feeling is that by not doing anything, or tapering, I’m effectively building strength and priming my body for the events ahead. 3. I’m a student of the Sport of Fitness as well as an athlete. I see what people are physically capable of all the time. I read the numbers. He can lift that, she can run that, he can do this many reps of that, etc. After years of this sport [CrossFit] evolving, what we are beginning to see is that everyone can pretty much do the same stuff physically. Yes there are exceptions, but they aren’t as dramatic as they were a few years ago. There were probably ten competitors in Northern California that had similar “stats” to me. This is true for all the regions of the world. So what makes the difference? Why are some people champions in this sport and others who have amazing physical talents not qualifying? It is how your mind perceives the struggle, handles the grind, overcomes the valleys that you go through year in and year out. – This sport hurts everyone. Everyone experiences pain and discomfort that is sufficient to provoke thoughts of quitting. Mindset is like a muscle. If you practice a certain mindset and build it up, you will improve your mindset. Carol Dweck, in her book, Mindset, has researched achievement and success for twenty years and found that life stories, which we create from our beliefs, will either enhance or undermine our life goals. Her research shows, and I’ve seen this with my coaching clients, that people who have a desire to learn and improve each day reach higher levels of achievement. She explains that a growth mindset (ie, believing you can change, being open to feedback) vs a fixed mindset (ie, this is my toolkit and there’s nothing I can do to change it) is an important resource to reach your best. In order to improve in any aspect of your sport, you need to work on your beliefs and mindset in addition to technique, strategy, physical fitness etc. Unfortunately, this doesn’t mean you will be the next world champion skier or the next Number-One tennis player in the world (let’s leave that to Rafa), but it does mean that you can improve from any starting place and be better. This is very encouraging, because it means we can all “Live in our top 1%” and continue to share our personal best. Mindset separates the best athletes in the world (and entrepreneurs, managers and CEO’s). 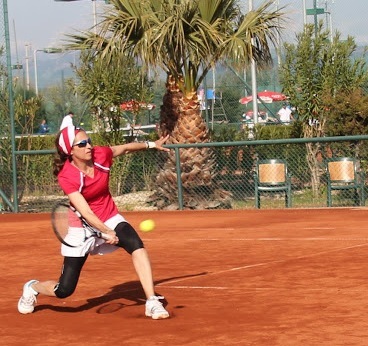 I have played competitive tennis since I was nine and have learned that matches are decided by a couple of points. Therefore, you need to have a solid mindset throughout the match to perform at a high level and believe you can win a point under pressure. I’ve lost matches because I didn’t believe I could win and I’ve won matches because my opponents didn’t believe. A two-second lapse in your concentration can decide the match. The ability to quiet your mind and focus on one specific point is an art and takes immense practice (and I’m still practicing after 35 years). There is no substitute for playing under pressure — you have to do it time and time again. And with each small win, you build confidence and believe in yourself and gradually see what’s possible. I’ve had some high points (ie, winning the World Championships in doubles in 2012 and beating two former top-twenty players) and some low points (ie, having my worst service game ever in the club championships in front of the whole club — not fun), and it’s all part of the process. What I know for sure, as Oprah likes to say, is that effort, practice and the ability to come back from small dips separates amateurs from professionals. You have to move outside your comfort zone time and time again to learn a new technique, modify your training/nutritional regimen and continue to fine-tune your mindset to reach your highest level. Erin attended college at the University of California, Berkeley. There, while majoring in Political Science, she and the Cal Women’s Crew team won both the 2005 and 2006 NCAA Championships. 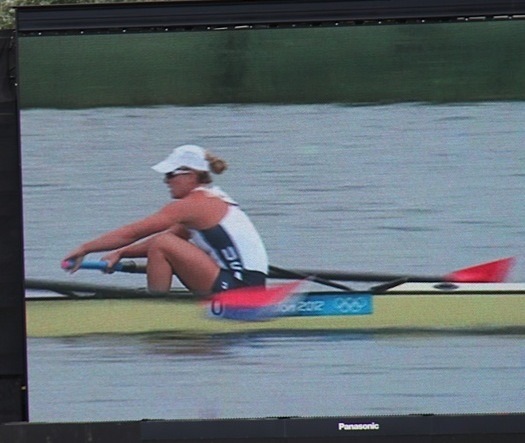 Erin was invited to join the USRowing National Team in 2005 where her career on the international podium began. Since 2005, Erin has won 6 Gold Medals and 2 Bronze Medals in World Championship races. She has had 11 World Cup appearances and has collected 5 Gold Medals, 5 Silver Medals, and 1 Bronze Medal. The highlights of her international rowing career were winning the Gold Medal at the 2008 and 2012 Olympics in Beijing and London and in 2009 when Erin and her pair partner became the first US women to ever win the Gold in the W2- event as well as win in the W8+ event. In 2008 and 2009 Erin and her boatmates were chosen as FISA World Rowing Crew of the Year for their accomplishments. In 2009 she was elected USRowing Athlete of the Year as well as USA Today Athlete of the Month. In 2012 Erin and her W8+ boat were awarded USOC Team of the Year for bringing home the Olympic Gold again and maintaining their undefeated streak in the W8+ for 7 years in the running. Erin now resides in Costa Mesa, CA and is the VP of Operations for 3Fu3l (her favorite supplement while training for 2012) and also travels around the country for Concept 2, the rowing machine manufacturer, running educational seminars for CrossFit. She continues to train for life and looking to find her next challenge. “The way I trained the past nine years for rowing is a bit of a different model than that of most athletes, because it was a team/training camp environment. What that means is that every day you were on the spot and your good performances and bad performances were all observed and taken into account when it was time for selection for the team. You were not only trying to convince your coach (who ultimately has the final say in the boat) that you deserved to be in the boat, but also your teammates. Any breaking of consistency or any signs of weakness were definitely noticed by teammates and were not a characteristic you wanted in the boat when racing internationally. We mostly trained in small boats, head-to-head every day, which definitely created an interesting dynamic. We wanted everyone to be fast because we knew we would all be in the same boat in the end, but most of the year we were pitted against each other and fighting for the top spots. Needless to say, stress and anxiety were always high, and when training volume was high (we were over-trained and cooked) everyone was especially tense and a lot less patient and understanding with each other. It was interesting to see not just how the competitive stress affected people but also how the outside stresses of life played into physical performance. If girls were not handling the competitive environment well or they had something going on outside of rowing (breakup with a boyfriend, financial stress, family problems), it definitely showed up in their performance. More often than not, they actually got injured. It’s the body’s way of saying you need to relax and rest. I always found this fascinating, especially with myself and own stress management. “I actually adapt to tapering pretty well. I am a damn good sleeper, so I would read and sleep most of the spare time. I enjoyed the extra energy and have to admit I would throw in a couple bodyweight workouts in my hotel room every now and then. I liked the adrenaline rush and jitters before a big race or test and would actually be more nervous if I didn’t have that extra energy at the starting line. 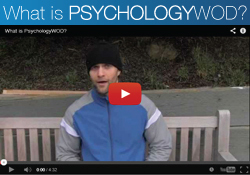 “Here I would go back to my theory that mental state had such a big effect on the physical output and health. Also learning tricks and techniques to stay present. It was always good to visualize what you wanted to happen in the future and learn what went right and not so right in the past. But all that processing should be done before the night before a big event. For visualization to really work with me, I needed to start visualizing the numbers (erg tests) or the result at least a few weeks out. I would visualize being calm and composed and then also practice pushing through the hurt in situations in practice. So when race day came I didn’t feel negative or anxious, and I was excited to execute. Believing that I was the toughest mother effer out there and no one could suffer more than I could was what kept me going. That helped me push through a lot of tough races. I think practicing that mindset during training and then being able to convince myself of that for race day made all the difference. I realize that not everyone reading this blog is an elite athlete. However, from my experience as a psychologist working with athletes at all levels, I have observed that non-elite athletes can also apply theories about how to improve their outlook and satisfaction with effort. Non-athletes—regular people and blog readers—can benefit from reflection about how we all make use of knowledge, information, theories, religion, formulas, etc. in our lives. Maybe you’re someone who has turned to religion as a guide for times in your life when you’re anxious and not sure how to navigate. Maybe you use intellectual debate and content as a way of connecting with others; you’re more comfortable in an intellectual realm than in a purely social one. 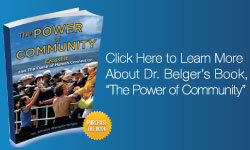 The point is that we all draw upon theory and strategy in dealing with everyday life and its challenges. There is nothing wrong with this and, in fact, it can be a good thing. But when content and theory become doctrine and dogma, leading to rigid and inflexible behavior, perhaps that is when things have gone awry. Our challenge is to seek knowledge, be open to learning, and make use of theories, content and data with flexibility and an open mind. When we don’t, there is likely an alternative and less obvious purpose being served by the intellectual pursuit. Unpacking that for ourselves is likely to lead to a better understanding of how we tick and what makes us worry. That, in and of itself, is part of the mental game!